This level has medium difficulty. 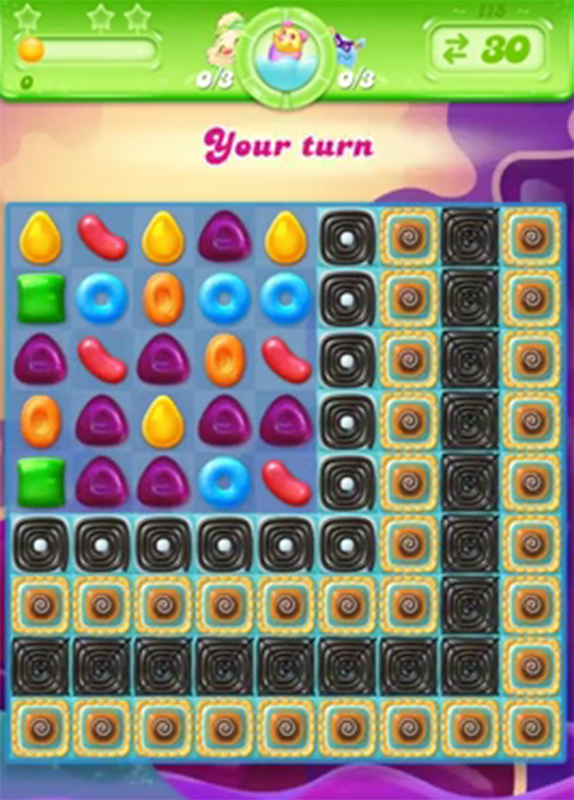 For this level try to play more from the bottom of the table to shuffle the candies and make special candy. Combine special candies to break more blockers and find more pufflers. Or watch video below to get more help.